The workshop experience is often so much more than learning a particular skill . . . a workshop can change your perspective and transform what you believe is possible. This week I'm gearing up for two workshops: a one-day workshop at Sitka Center for Art and Ecology, and an evening session with the Willamette Writers Coast Chapter. Here's a confession: I've attended, and led, dozens of workshops — and I still get nervous. As both participant and leader, the inner critic always shows up, saying: You're not good enough, You're not ready, and makes other paralyzing noises. The good thing is that the minute I begin to write, all worry evaporates. The other day a friend told me that she had started to write. She was excited but embarrassed. Maybe when I'm no longer a beginner, she said, I'll come to one of your workshops. What!?! ?, I said. Now is the perfect time. 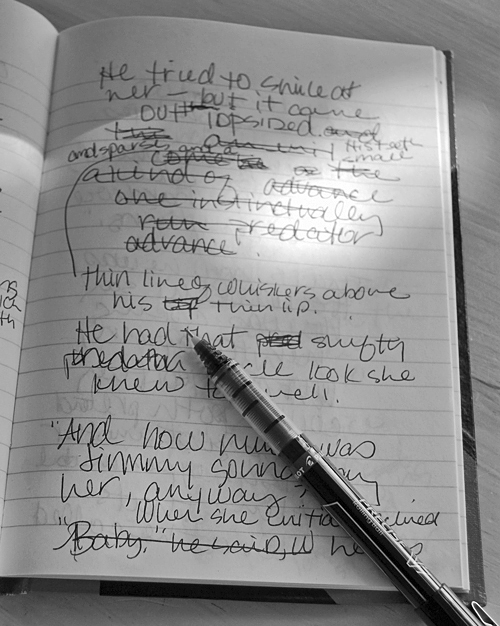 Even if you've written a dozen novels and hundreds of poems, you start over each time you write. A workshop is a great equalizer. You've written a bestseller? Great. You've never written? Great. Let's get together in a spirit of exploration — not to find rules or status, but to discover words, meaning, ourselves. Attending my first writing workshop was a big deal. I drove 5 hours, across two states, to spend a week with a group of people I did not know, for a workshop with a poet I had never even read (I was so new and clueless I didn't realize I should read the instructor's work before class). But none of that mattered; the important thing was that I was giving myself permission to be a poet. I hadn't told anyone I wrote poems, or that I harbored a desire to learn how to write better poems. I say this now with no trace of overstatement: That workshop changed the course of my writing life. If your last poem sounds like your first poem, if your writing group glazes over with the 100th reading of your tired story, it's time to shake things up. Familiarity breeds contempt. Sure, it's cozy here with your bag of tricks, but baggy sweats are also comfy and that's not a look improving anyone's life. A writing workshop is a great place to brush up, get dressed, and find a fresh focus. My husband asked me what I learned. I answered that it wasn't that l learned some tricks to writing, or how best to use my time in order to write, or how to publish. What your workshop provided me was an opportunity to meet other writers and share experiences that helped me assess my own writing — the best kind of springboard to encourage me! Sitting at home, or at your writing desk, it's easy to find other things to do: fold laundry, wander Facebook, watch Mad Men, snack on a bag of chips. Sometimes everything is just too loosey-goosey. We need rules, structure, deadlines. A writing workshop recalibrates our system, giving us a much-needed nudge to keep ourselves on task and productive. Do you attend writing workshops? Why? Why not?